I have an elderly friend who said that eating fresh, raw tomatoes would cure just about any aliment. He just may have been right. This wonderful fruit tastes when picked ripe off of the tomato vine. Pick the rest and bring them into your kitchen to make fresh tomato recipes including soups, salads, sauces, salsas, main dishes or whip up a refreshing tomato juice. Tomatoes are so enjoyable, you may not realize how many and how varied tomato health benefits really are. Tomatoes are high in vitamins A, B6 (thiamine), C, E and K.
The minerals that compose tomato nutrients are calcium, iron, phosphorus and potassium and they do not stop there. The most well known of tomato nutrients is the antioxidant lycopene. 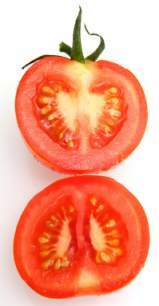 This plant chemical is so important to the tomato, that it will turns it red. The red hue of tomatoes is due to the presence of lycopene. This plant chemical is a powerful antioxidant. Beauty Aid- The antioxidants in tomatoes helps to protect your skin from the effects of aging. The phytochemicals in tomatoes will also protect against the damaging UV rays of the sun. Eat a tomato the first thing in the morning on an empty stomach and 30 minutes before eating anything else. Cholesterol- Tomatoes help to lower harmful cholesterol levels. Cancer- Tomato nutrients, including the popular lycopene, has been shown to be an effective fighter against various types of cancer including prostrate, cervical, colon-rectal, esophageal and may also protect against pancreatic cancer. Diabetes- Tomatoes are rich in the mineral chromium which helps to regulate blood sugar. Eyes- The large amounts of vitamin A in tomatoes may help protect your vision. Gallstones- Eating lots of tomatoes may help to dissolve gallstones. Smoking- If you smoke, tomatoes may help repair the damage of carcinogens from cigarette smoke. Sunburn Relief- Applying fresh tomato juice to a sunburn may help to heal it. The nutrients in tomatoes also helps to protect your skin against harmful UV rays, they are a natural sunscreen! Urinary Tract Infections- Tomatoes can help protect against urinary tract infections. Tomatoes can also protect against bladder cancer. 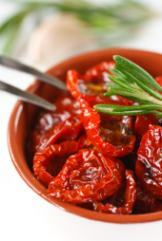 Lycopene Levels Increase with Cooking? 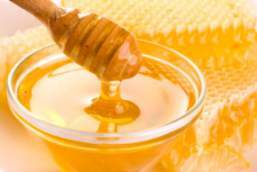 It is a commonly purported that lycopene levels increase with cooking. If this is true, then tomatoes should always be cooked to reap all of the benefits of lycopene. This news is not good if you are a raw foodist. A common argument from your cooked-food friends is that you will not be getting enough lycopene. Because they “should be cooked,” so should tomatoes be the single exception to your raw food diet? Let's explore this a bit further. First of all, does it make any sense that by simply adding heat to your tomatoes, that somehow the heat will magically produce more lycopene? No, of course not. The more accurate statement is that the lycopene in cooked tomatoes is more bio-available and this may be very true. Cooking your tomatoes will release the lycopene. So should tomatoes be the single exception to your raw food diet? What is not considered in this scenario is that while lycopene is being released by the action of heat, what is happening to the other beneficial tomato nutrients? They are getting denatured, basically killed. The processing that most tomatoes endure to turn them into sauces, soups, ketchup, etc., involves nutrient-killing heat. While lycopene is being released, the other nutrients are being eliminated. 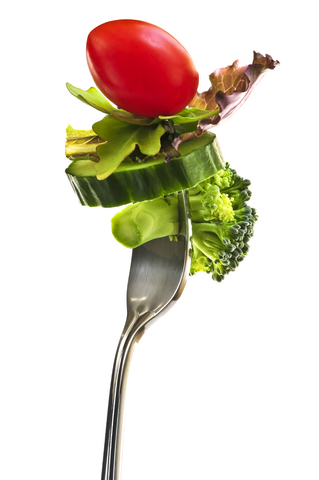 The wonderful thing about all raw and living foods is their superior nutrient content. So why do we want to cook our foods? Basically we just get use to the tastes of cooked foods and then we think that is the way our all of our foods should be prepared. Understanding the concept of the synergy of the nutrients in tomatoes destroys the myth that cooked tomatoes are better for your health due to the high amounts of lycopene.